I do love Poppies and love that time of year just before harvest when the poppies are gently blowing in the wind with the corn. 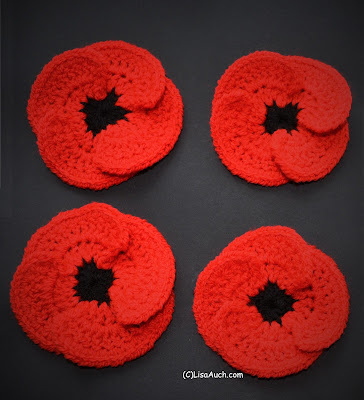 There are a few croche tpatterns for poppies around many with 3, 4 and 5 leafs so I have included a good choice of Free Patterns for you. 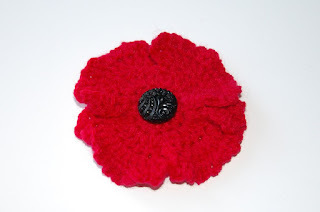 I also love that my passion for crochet lets me be a part of someones journey. 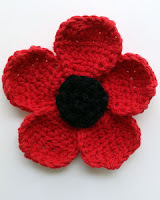 I was asked if I would crochet 4 large poppies for someone in Rememberence for their lost son. I just love that I can be a very small part of someones special story. 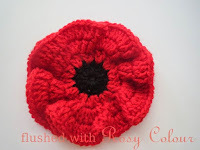 You will find the Free Poppy Patterns further down this page. I modified a Pattern I found online from Hobby craft. I just loved how the petals crossed over each other and gave a truer representation of the delicate leaves of the poppy.